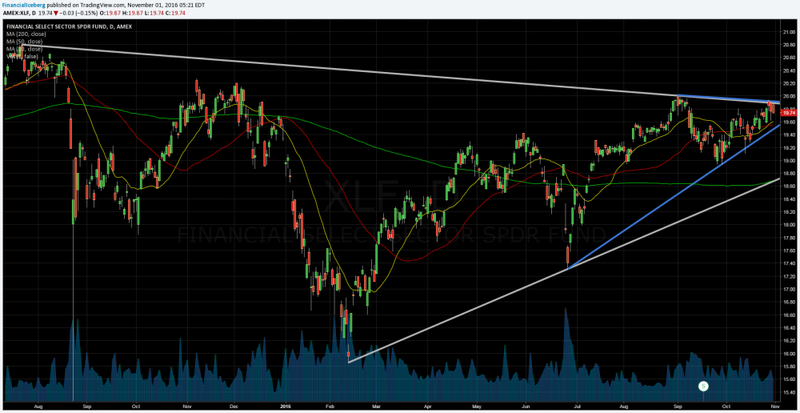 Financial Sector (XLF) : Strong Price Compression? ​more Volatility then we are going through these days. ​​​With the last down move since September 29, we are now on a relative basis way above the 20 DMA ​(Day Moving ​Average), the 50 DMA and most importantly the 200 DMA on a relative basis (See second chart below - Green Line)​ . That shows how strong the sector is compare to the broad market (SP500). But what is interesting indeed is that the Financial Sector is strenghtening lately to the Mighty SP500 Index, as the economic surprise index is on the fall and also that the FED keep pushing away the next interest hike, fading some hope for banks on fatter forward net interest margin. A good performance from XLF ETF is quite needed for Bulls as it represent 13.1% of the SPY ETF total allocation and is the third heaviest sector (first sector is Technology at 21.7%). So without it, it will be quite difficult for Bulls to achieve new highs to the SPY ETF. 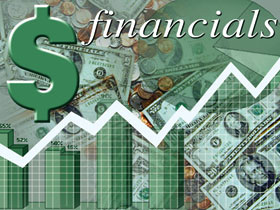 which is based on the S&P Developed Ex-U.S. BMI Financials Sector Index.